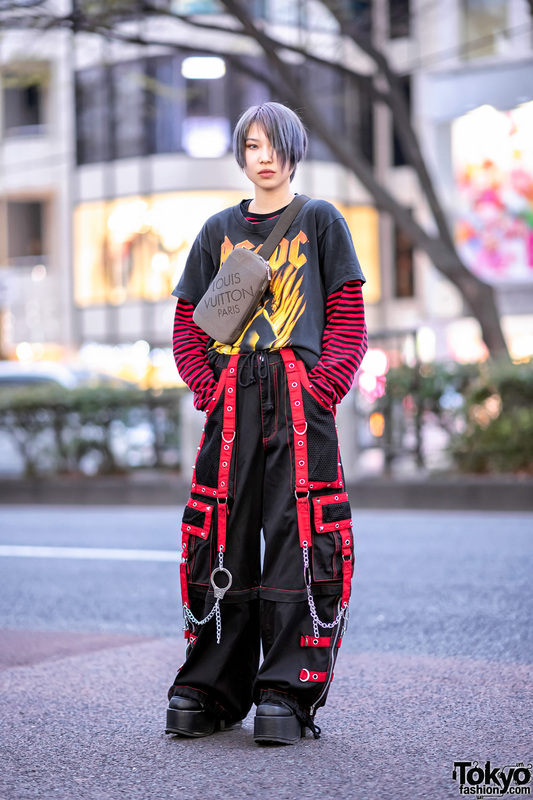 Meet Kenshin, an 18-year-old Japanese beauty school student whose ensemble easily caught our eye on the Harajuku street one evening. 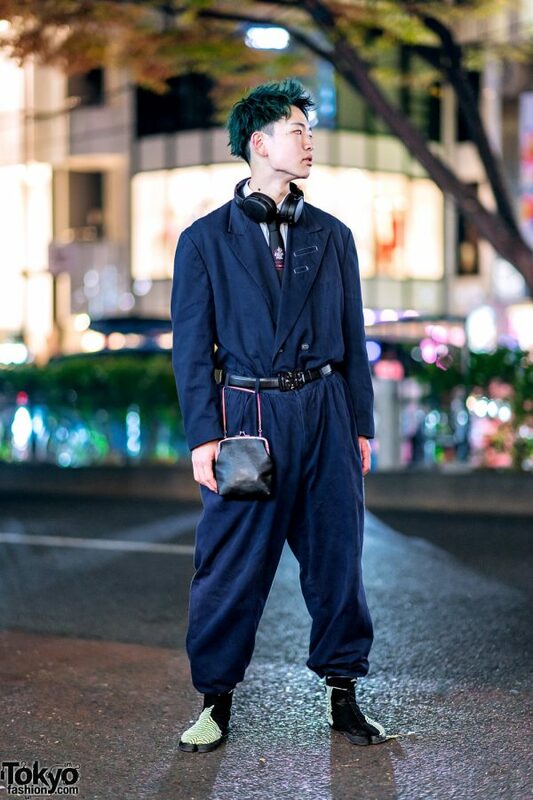 Sporting dark teal hair, Kenshin stepped out in a dark blue blazer style jumpsuit from Japanese streetwear label Comme des Garcons. 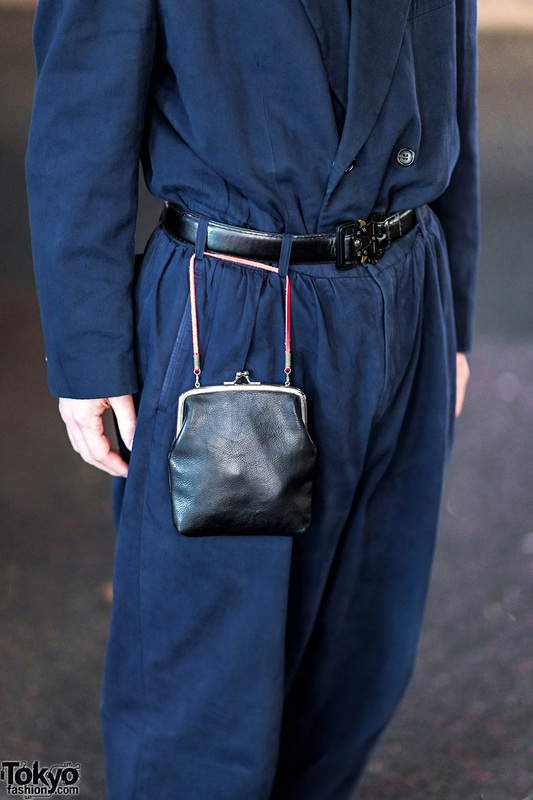 He styled his jumpsuit with a resale white collared shirt, a black necktie with prints from Dior Homme, and a black leather belt. 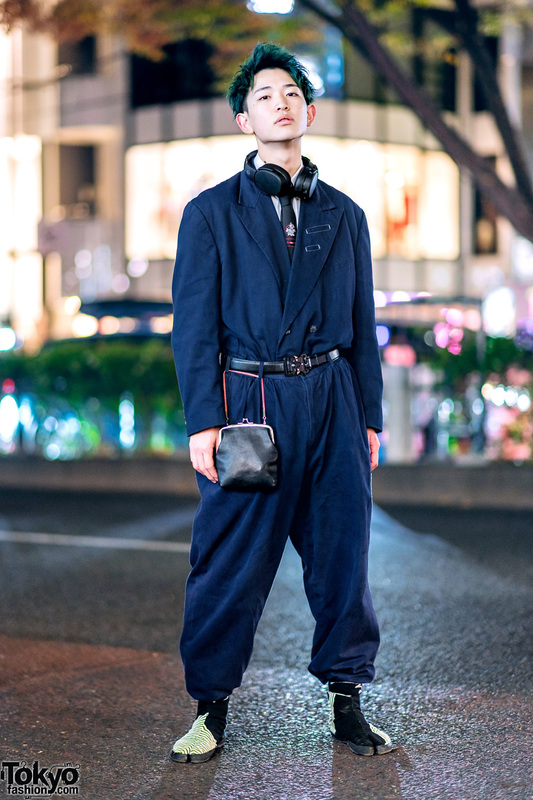 Kenshin finished off his outfit with a pair of black tabi shoes with green stripes from Sou Sou, a pair of black headphones around his neck, and a black leather clasp purse from Sou Sou hanging from his belt. 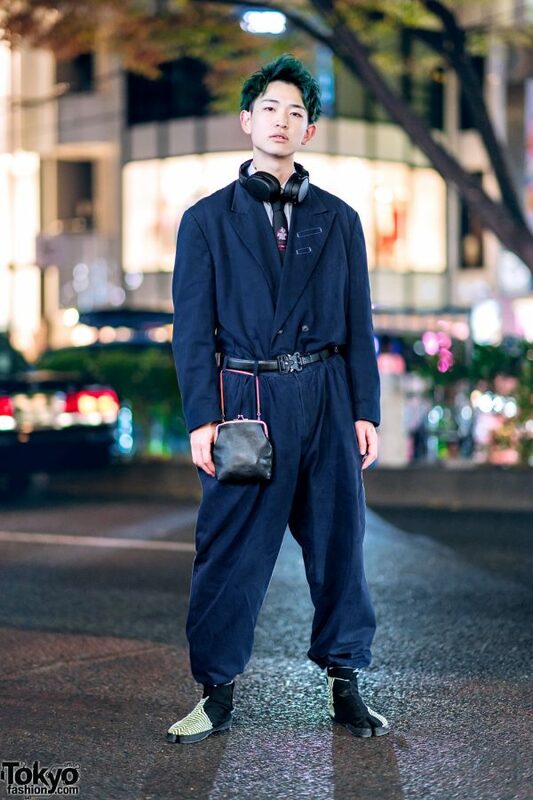 Kenshin told us that his favorite fashion label is Dior, and that he likes the music of Radwimps. 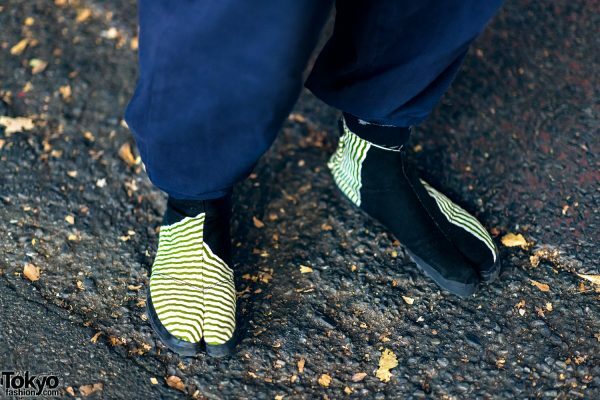 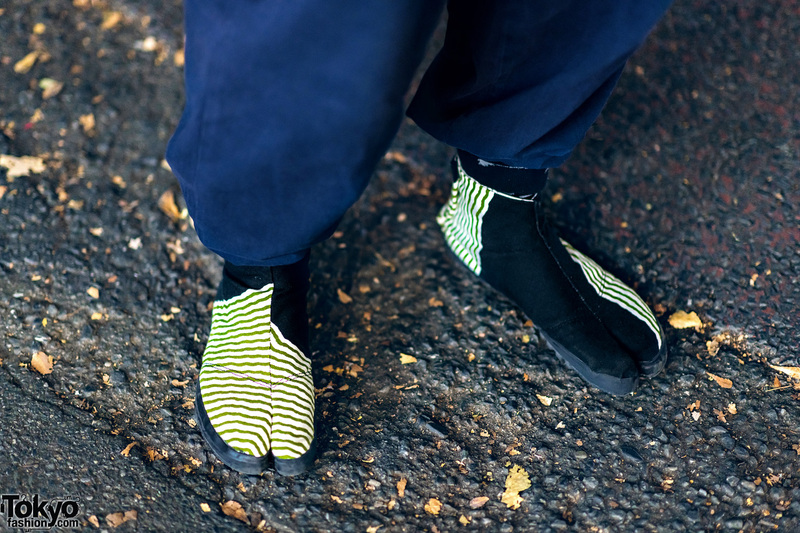 For more on Kenshin and his street styles, follow him on Instagram.